Gillum learned some of life's greatest and hardest lessons in Richmond Heights. 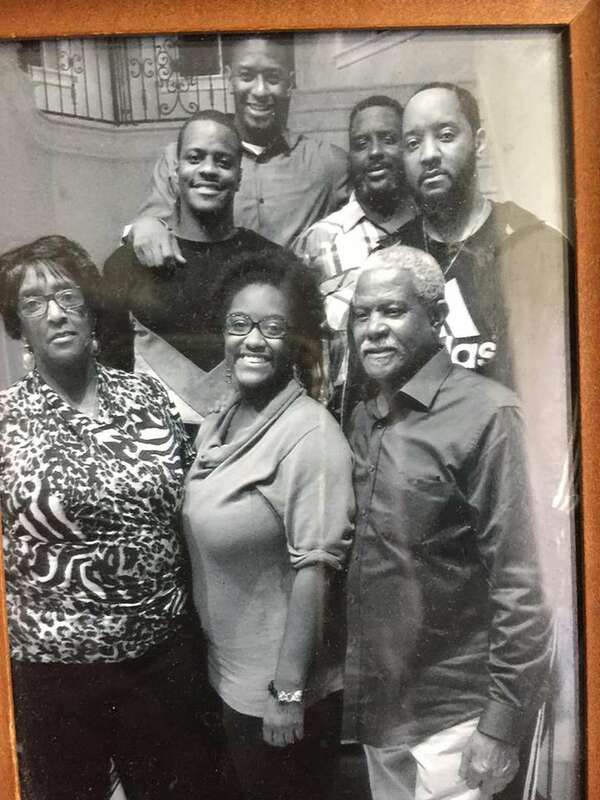 Andrew Gillum doesn't quite recall why police were on his grandmother's stoop the night he promised himself that he would never give them a reason to come looking for him. But he does remember the knock on the door. It was 1980s Miami, and cops had been to the family home in South Dade a few times already. Officers might have been there this particular evening because his parents' oldest son had tried to slip them after blowing past a speed trap in a '76 Pontiac on a suspended license. Or it might have been one of the times an older brother was caught selling drugs. The exact reason police had returned to the house at 14235 Jefferson Street escapes Gillum, who couldn't have been more than 9 or 10 at the time. What he can still conjure up, though, is the resolve he felt as he watched his mother close the door and cry. "I kind of made up in my mind that I was never going to upset her like that," Gillum, now the 39-year-old Democratic nominee for Florida governor, said in an interview. "That's something you don't really forget." Growing up in Richmond Heights, a black bedroom community tucked along the east border of the Florida Turnpike in the deep south of Miami, a young Andrew Gillum learned some of life's greatest and hardest lessons. His mother, working three jobs Monday through Sunday from sun-up to sun-down, showed him the value of a buck and hard work. His grandmother baptized him in the teachings of Christ. And his five brothers, squeezed into a single home — in Andrew's case two to a bed — taught him to fight for what was his and showed him the consequences of mistakes. These experiences — and the life-altering struggles his family faced as they grew older — formed the foundations of a surprise Democratic campaign that promises to push a $15 minimum wage, overhaul the criminal justice system and expand publicly subsidized health care. If supporters believe the heart of Gillum's surprise bid to claim the Governor's Mansion is his authenticity, then its roots lie in the soil of a simultaneously rich and impoverished childhood in black Miami. "I know too well what it meant growing up in the streets of south Miami," says Gillum. "So much of that experience has informed who I am today." 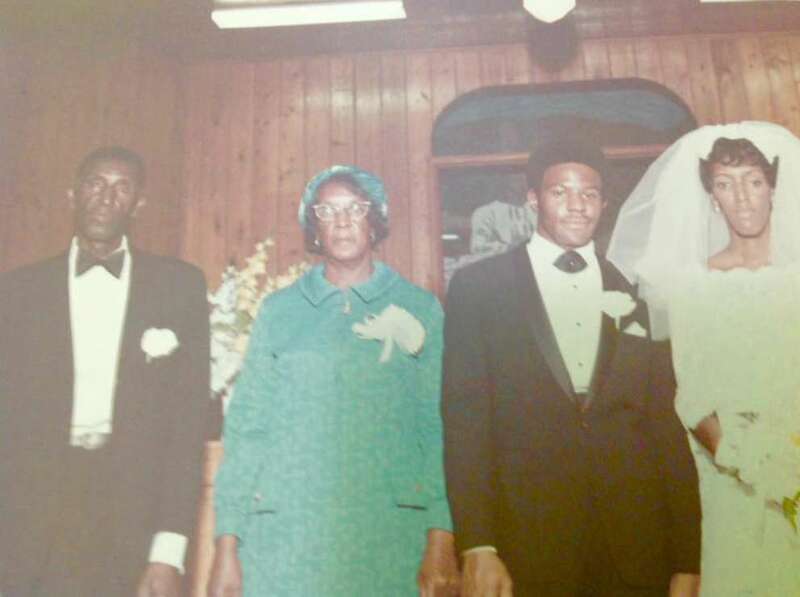 Born the fifth of seven children to Charles and Frances Gillum in 1979, Andrew Gillum had a childhood experience like no other gubernatorial nominee in Florida's history. His father, the son of a chauffeur who followed his employer from Chicago to Miami, was a construction worker who sold produce on the street corner when work was sparse, and flowers outside the cemetery on Saturdays. His mother, one of 16 kids born to a family of Georgia sharecroppers from Clyattville, woke up at 4 a.m. on weekdays to drive a school bus and in the evening transported church parishioners. On the weekends, her sons say she'd set up a space at a Hialeah flea market and sell clothes bought cheap at a warehouse. Over summers, when school let out, she worked as a presser at a dry cleaner's. Sometimes, the youngest of the Gillum children would ride behind their mother in darkness for an hour or two in the mornings before catching their own school bus because there was no one at home to watch them. With money stretched, they wore hand-me-downs and watched their parents debate how to manage a rotating list of unpaid bills — something the candidate refers back to when talking about the right to earn a living without having to work two and three jobs. "We didn't come home and check the mailbox or the front door. We went to the meter on the side of the house to see if the lights were on," said Chuck Gillum, one of Andrew's older brothers, who remembers sheepishly buying groceries at the store with food stamps. "We shared school clothes, so we'd go home and get out the pants and shoes because your brother had to wear those same pants and shoes the next day." Patrick Gillum, the oldest of seven kids and Andrew's senior by eight years, says he worked jobs at Burger King and Publix, and carried groceries for Winn-Dixie shoppers for tips to help pay bills. His mom often made him watch his brothers when she was unavailable. Andrew, when he was old enough to work but too young to know a raw deal, says he took a job sweeping up hair at Bob's Barber Shop for $3 a week. As a form of amusement and punishment to his brothers when he was forced to babysit, Patrick Gillum says he sometimes made them act out scenes from the 1986 miniseries Shaka Zulu and pummeled them when they got the lines wrong. He says Andrew, sick of it, once rallied the rest of the boys against him in a fraternal revolt. He also remembers Andrew convincing their mom to buy only Doritos when his older brothers started stealing the best chips out of the variety packs she brought home, leaving him with the dregs. "If he didn't like something, he'd try to change it," said Patrick. Most of the time, Andrew's maternal grandmother, Ella Baker Jackson, would watch the kids, especially Andrew and his younger brother, Marcus, and baby sister, Monique. She'd attend The Bethel Church down the street from her house, and a Pentecostal church in Perrine several times a week. Andrew loved it, his brothers say. He'd grown up in the church, having attended day care at Second Baptist. His grandmother bought him an orange Bible, and he'd sit next to her and read it on the front porch, said Patrick Gillum, who thinks his brother liked going to service in part because he got to dress up. "He liked to dress nice. My grandmother told him he was so handsome once when he was about 5 years old and that boy would not wear tennis shoes after that," he said. "We had to buy him penny loafers." Gillum grew close with his grandmother, who'd shelter her daughter's family in the home she shared with her husband when the money ran short for Frances and Charles Gillum. Every morning before her grandchildren would cross the threshold of the front door, Jackson would anoint their heads with oil. Records show Jackson and her husband, Allen, died within weeks of each other as 1990 became 1991, but her spirit remains an integral part of Gillum's campaign. The "Bring it Home" motto her grandson repeats and chants with supporters at the end of most of his campaign stops was originally an ode from her to community and family. Jackson, who grew up in the Jim Crow south, was the only child in her family to go to grade school and was taught to bring home her work to share with the family, according to her grandsons. She told Andrew to do the same, a message he said motivated him to share his advantages with others. "I can still hear my grandmother's voice," Gillum says in the first campaign ad he rolled out after winning the primary. "She said go to school. Mind your teachers. Get your lesson. And one day bring your education home." The first in his family to graduate from high school and college, Gillum was a quick study. His eldest brother remembers one of Andrew's teachers at Vineland Elementary (now a K-8 center) trying to convince their mother that her son needed to take medication because he was hyper-active. "He wasn't hyper, he was bored. 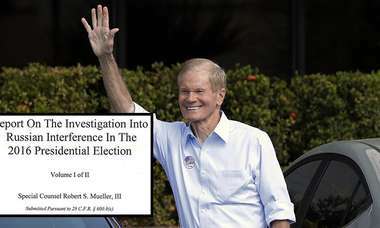 They weren't challenging him," said Patrick Gillum. As the boys got older and taller — five, including Andrew, would stand taller than 6 feet — space got tighter. Their grandfather built a cottage in the back of the house for the two older siblings as the family spent more time at their home, but the rest shacked up several to a room. "My brother Terrance and I shared a bed, probably for too long," Gillum said, laughing. "My sister often times stayed in the room where my mom and dad stayed." Friction also became more frequent and more consequential. Charles Gillum, who struggled with alcoholism, lost a City of Miami sanitation job and had a few run-ins with police. He'd move in and out amid disagreements with his wife. Meanwhile, Patrick, who'd dropped out of school, was accused of burglary and assault in 1991 and eventually sentenced to nearly a year in jail after an arrest a short while later for small-time cocaine possession. That same year, Chuck was charged with robbery with a weapon and sentenced as an adult, even though he was still 17. Both say the charges were bogus — and devastating. After the two brothers were convicted, they had a hard time finding work. Patrick Gillum, who says he was pressured to take plea deals because he couldn't afford to post bond or pay fees, lost a county job with benefits and struggled to find employment after he got out. Chuck turned to selling drugs, and his parents tossed him from the house when they learned about it from the police. Both continued to rack up arrests. Worried about the family and now bereft of her parents' support, Frances Gillum planned a move to Gainesville, where Charles Gillum's father, J.T. Gillum, had moved with his second wife after a medical issue caused him to be paralyzed from the waist down. Two foreclosure lawsuits hung over her late parents' house, which they'd signed over to her before their death by quit-claim deed. Her kids say they were in Gainesville in late 1992 when the South Dade home was wrecked by Hurricane Andrew, making the family's move north permanent. But while Alachua County proved a more fertile ground for then-13-year-old Andrew, it didn't make life easier for everyone in the family. His mother and father separated again, and his older brothers, including Eric and Terrance, picked up arrests records, too. Caught trafficking more than 400 grams of cocaine in 1996, Chuck Gillum was sentenced to 15 years in prison in 1999 as Andrew was attending Florida A&M University. In 2006, after Andrew became the youngest city commissioner in the history of Tallahassee, Eric Gillum was sentenced to nearly four years prison on burglary charges. Gillum's mother was also arrested in 1996 and again in 2000 by Alachua County sheriff's deputies and accused of writing worthless checks. Misdemeanor charges were dropped in both cases after restitution. 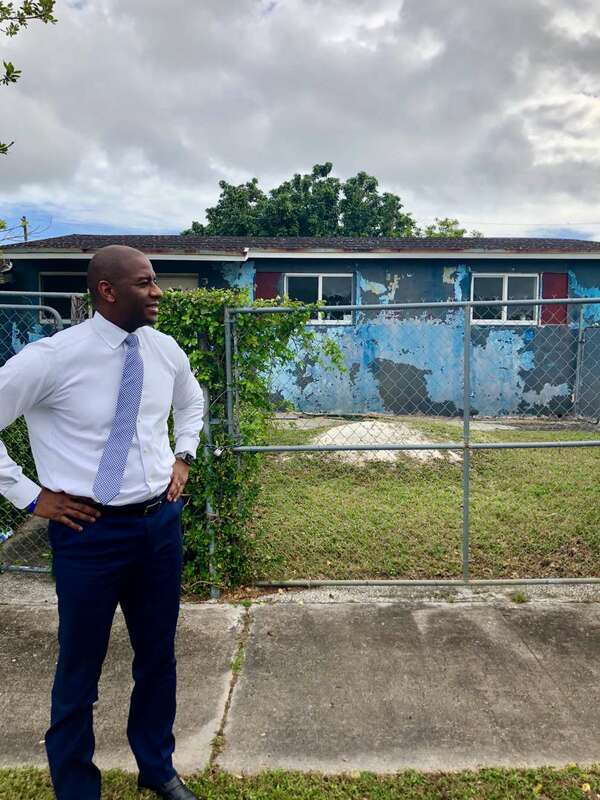 "Even though I've not found myself on the other side of the law that way, I'm extremely and intimately aware around the ways that can impact people," Gillum told the Miami Herald during a recent visit to Overtown. The arrests were difficult on the family. In an interview, Chuck Gillum explained that he never used drugs, but acknowledged that he started selling and then trafficking in order to make money after his first arrest made it difficult to find a job as a teenager. "For me, at the time, it was a hustle. It was a way for me to make some money and help feed my family," he said, acknowledging that he made bad decisions and paid the consequences. When he went to prison, he bounced around to five different institutions. He told his family not to visit, but they came anyway, Andrew included, being patted down on the way in to speak to him. "I was embarrassed, and at the same time I saw what my brother was trying to do while I was in prison," said Chuck Gillum, who ultimately served more than 12 years before his release in 2012. "I let him know, 'Bro, what I've done, this is not the life.' But he knew that. He was very sharp. He was always candid. He said 'You do the wrong things and these are the types of things that happen.' A younger brother telling you something like that will make you pay attention. He didn't want that type of life." Chuck Gillum says he earned his GED and became certified in trade skills while in prison. But when he was released, he still struggled to find work. Finally, the owner of an auto shop in Gainesville gave him a job and then a loan he used to start his own landscaping and car detailing business after deciding that he had to go into business for himself in order to earn a manageable income. Eric Gillum, meanwhile, served three years before his release in 2009 and eventually got into tree trimming. In 2014, in a freak accident, he was in the air in a cherry picker when the bucket collapsed, sending him toppling to the asphalt and killing him. He was 39. Patrick Gillum says talking about it still makes him angry: Shortly before the fall, Eric had been admitted into the hospital with a broken leg. He was up in the cherry picker because he needed money to pay for medication for his ex-girlfriend's baby, his brother says. "Andrew knows how hard it is to make it," said Chuck Gillum. In the same way that his family's struggles helped shape his views on wages and work, his brothers' experiences with the law reflected the punitive system of Florida corrections, which seemed far less interested in helping his brothers re-establish themselves as members of society than punishing them forever for their missteps. "A lot of people see these things through the lens of, 'Oh, you've done something wrong and don't want to fit back into society,' " Gillum said. "I have cousins and friends who were perpetually in trouble. But I also saw people who wanted better for themselves and because I had a public policy eye and an opportunity to do something about it, it shaped my thinking on a whole range of things." Gillum says that empathy is one of the reasons he made "banning the box" — moving criminal background checks to the end of the hiring process rather than the beginning — one of his first priorities as Tallahassee mayor. "The best way to control crime is to reduce the level of recidivism, to reduce the level of people going back into the criminal element. People need to make an honest living to take care of themselves' and their families." The system is still punishing his brothers. Chuck Gillum, who lives in Jacksonville and goes out of his way to hire ex-cons, wants to vote for his little brother but can't: He lost the right to vote under Florida law when he was convicted of a felony. He says he hasn't tried to restore his civil rights, a process that in Florida involves traveling to Tallahassee in order to plead with the governor and Cabinet. That process could change this fall if 60 percent of voters support constitutional Amendment 4, which seeks to create an automatic restoration process for most felons who've served their sentence, completed parole or probation and paid restitution. Andrew Gillum has been a prominent supporter of the proposition, pushed by an organization that argues the state's current clemency system — which requires felons to wait five years and then travel to Tallahassee and make personal pleas to the Cabinet — is too subjective. Meanwhile, as part of his criminal justice plan, Gillum supports the legalization and taxation of marijuana to bolster spending on other services. He wants to overhaul Florida's system for bail, which works to keep poorer defendants in jail, and change the state's minimum sentencing guidelines. He says he'll expand preventive programs, something he credits for a drop in both arrests and crime rate in the city of Tallahassee (although critics will note that Tallahassee's problems have helped make Leon County's crime rate the highest in the state under Gillum's tenure as mayor of the city). Gillum openly talks on the campaign trail about the fact that he is the only one of his parents' boys to avoid a criminal record. But he has been cast as a criminal by DeSantis, whose campaign has hoped to tie him to an ongoing FBI investigation into the city of Tallahassee's community redevelopment agency. Gillum — who has been called Andrew Guilty by Republicans — is the chairman, but has said for more than a year that he's been told he's not a subject of the investigation, and there's no evidence to refute that statement. Gillum says he made a conscious decision in Miami that he would never get arrested. And when he was young, he says his mother gave him "the talk" that so many African-American parents have had with their children in terms of interacting with police. "My mother was very clear if ever encountered law enforcement I needed to talk quietly, needed to make sure I didn't make any movements, ever so subtle even. She would say, 'Don't put your hands in your pockets, don't do anything, just stop,' " said Gillum, who says he's never had a bad experience with an officer. "Because I was aware about my brothers encountering law enforcement, I never suspected that I could make it out of the neighborhood without encountering law enforcement. It was to be expected." Patrick Gillum says his brother has always had a rigid sense of right and wrong. The night police came looking for him at the house after he blew past them in his grandfather's Pontiac, he says, a young Andrew said he would have told officers that Patrick was behind the wheel if he'd known he was driving. "If you were doing something wrong, he didn't want to be around you," Patrick Gillum said. "That's just who he is." Gillum doesn't shy from his family's complicated history. When he rolled out his campaign in 2017 with a video, he talked about his brothers' criminal history, and how that shaped his life and his beliefs. He's openly discussed his father's alcoholism. And he talks constantly about his love for his brothers, sister and mother, whom he's brought along with him on the trail to talk to voters. In August, when his campaign was considered a long-shot and his appearances were sparsely attended affairs, he told the Miami Herald that he wanted to acknowledge how important Miami has been to his life without appearing to "tokenize" his childhood community. 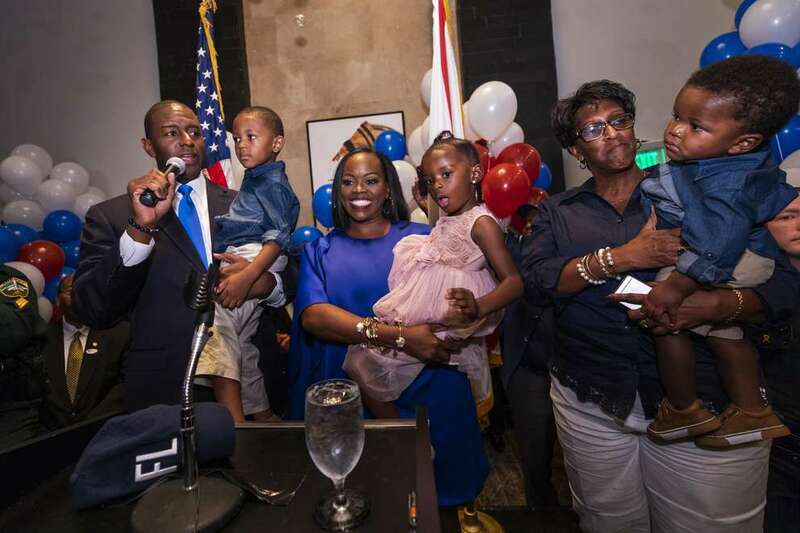 A few weeks later, on the Sunday before he stunned the country by winning the Democratic primary, Gillum's wife, R. Jai Gillum, stood on the steps of The Bethel Church where her husband was baptized as a baby and evoked those memories he says are so important. The tear-filled nights and early morning bus rides were all heading somewhere, she said. Richmond Heights was just the beginning of the story. "There was a calling on Andrew's life when he was born. And it has been poured into him by this community, by his family, by his grandmother," she said. "That all started long before any of us knew what the end of the story would be."